Usually, a snow laden quiet tranquility covered the home of the Canadian Prime Minister, Stephen Harper. But not today the heck at all. Today was the day. The day that ended days. The day that days called for reference to see if what they were seeing was true when it came to days terminating. Today was the day ending verifier. Wind. A leaf or two. Frozen precipitation. Uncertainty. Laureen Harper, the Canadian first lady, was surprised to hear the door so early in the day. It was only 10:45 a.m. Stephen, a man known for his long hours at Parliament Hill, was home early. That wasn’t good she thought to herself. “That wasn’t good,” Laureen Harper said under her breath as the door opened and closed. “Honey, dearest…I’m home…” Stephen Harper said in a stifled choke which was followed by the sound of the front door slowly closing. He leaned against the door as if he was leaning against a mountain of eternities. Then like a unicorn being born, a tear erupted from a duct near his right eye and rolled down his face. His leather briefcase shook in his right hand. “Home,” he said again. This time, sadder with a lot more unhappy. He quickly wiped away the newborn tear with a 100 dollar bill. There was a faint smell of maple syrup left upon his cheek, then nothing. He was left by himself. For many seconds, this felt like many forevers for our once proud Minister Prime. Optimus broken. Optimus dying. “Honey,” Laureen yelled, “You are home so early, I’m surprised! ” She handed him his abode cape, which he only wore at home. Three more tears escaped their eye cave, and just as soon, a fresh 100 dollar Canadian bill was pulled from Stephen’s pocket. But, before it could lay another smattering of possible maple syrup scentings on his face, Laureen pulled the currency from his hand. “That is not what money is for!” she said in a reserved bellow. “If not that, then what,” muttered Stephen, his hand shakily putting on his abode cape which he could not tie around his bobbing adams apple. In his frustration, he decided to use both his hands. His briefcase fell to the floor for what seemed like an eternity. Golden rivets. The finest Iqualitian seal leather. BC redwood inlays. Falling…falling..fallen. He then punched a hole through the 400 year old Canadian Maple front door of the 24 Sussex door. A block away, a labrador retriever ceased barking. “They fired me,” Stephen said in a muted gasp. 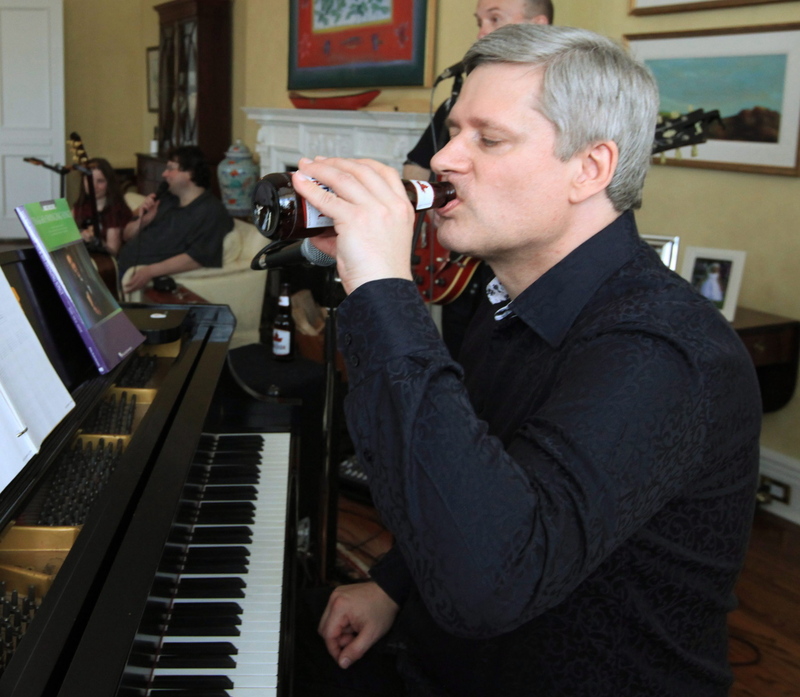 For more Stephen Harper fan fiction either rate this post, like it on Facebook, re-tweet it on the Twitter or just yell out the closest window how much you enjoyed the Stephen Harper fan fiction. Luis…it’s fan fiction. Calling it fake is like saying a rock is hard. And gay? I assume you mean happy. So thank you!